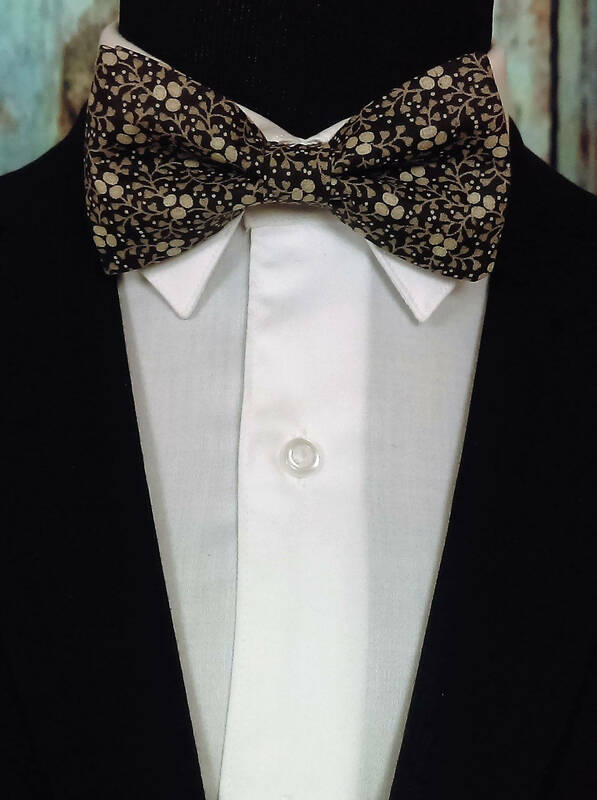 Floral Bow Ties – Floral Bow Ties for Men or Boys, also great for Wedding or Prom. 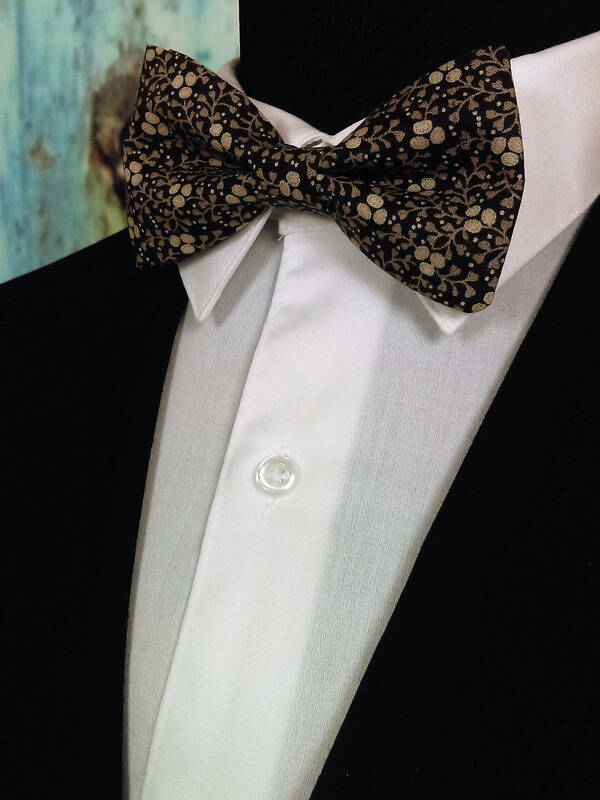 This is a stand our bow tie great for wedding, pron and everyday use. 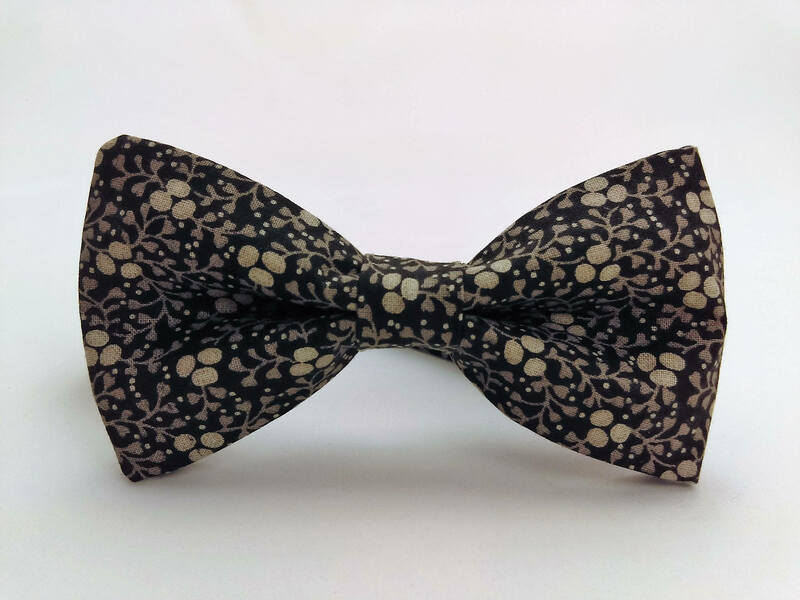 Features a black background with tan floral print.